These triangles are economical and will adapt to many situations. 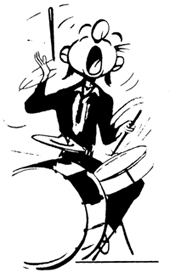 They are well matched for student orchestras, as well as Pop and Rock ensembles. 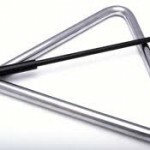 The Danmar Triangles are good quality and blend well with other instruments. Triangle from the very popular 4" to the larger more projecting 10". They are all USA made. They are never intrusive. 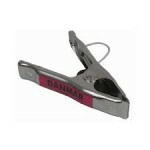 Don't forget your Danmar Triangle Beaters and Triangle Clip or Holder! 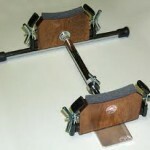 Danmar makes two styles of Machine Castanets: Stand Model and Table Model. 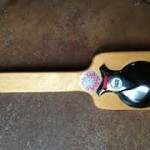 The castanets are high quality plastic and have excellent projection. They are high in pitch and easy to play due to the spring adjustment on both machines. 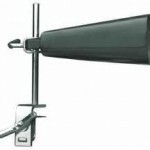 The Stand Model has a built-in bracket which adapts to various size stands. The Table Model has a Walnut base and fits well on a trap table or percussion tray. Made in USA. A triangle mallet set of 3 beaters in three sizes. 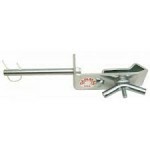 Made of chrome steel with rubber handles in the USA. Looking for that Flamenco sound? 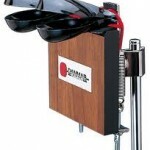 Danmar Castanets are perfect for student ensembles and Pop and Rock bands. They are high quality plastic which holds up to extended usage. 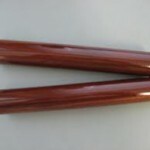 Available in hand held version (2 pair) or mounted on a handle (one or two pair). They have excellent projection and are easy to manipulate.